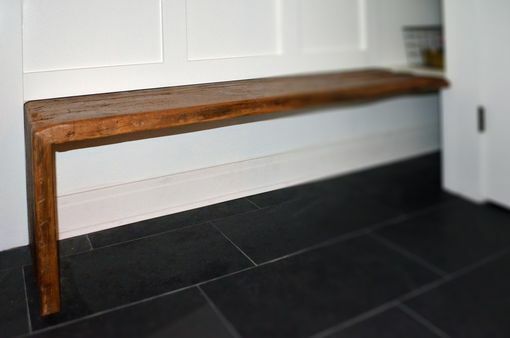 Sturdy and simple was the plan for this rustic mudroom bench. 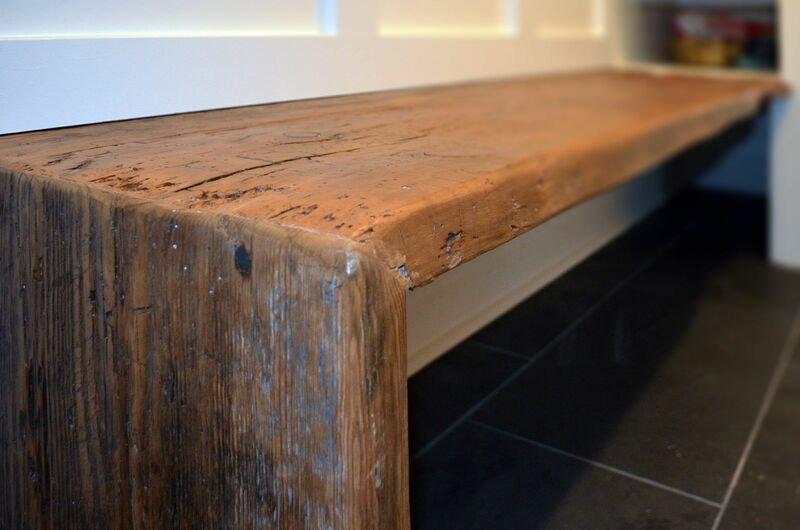 Old growth barn wood provides the rustic texture, attaching it to the wall gives it plenty of support. 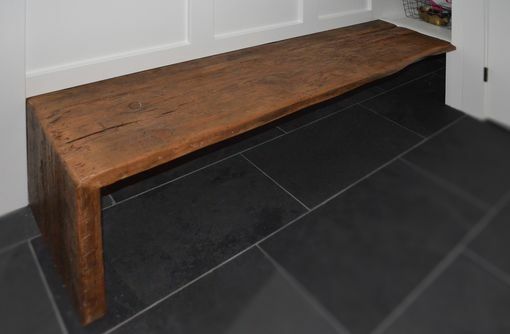 Available in custom sizes as a free standing unit. Sanded smooth for comfort, finished with a flat polyurethane for durability. Size as shown 72"L x 16"W x18"T Custom sizes are available.